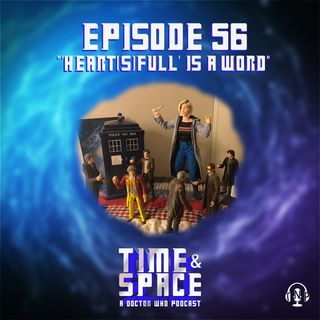 Episode 56 - "'Heart(s)full' Is a Word"
Jessica and Phillip conclude their series on how the Thirteenth Doctor lives up to the legacy and characteristics of her predecessors. From compassion to costumes, each of the Doctors have similarities to the newest Time Lord. In their look into the TARDIS library, the couple examine "K9 and Company," and its first (and last) episode - "A Girl's Best Friend." How does this first Sarah Jane Smith spin-off fare, ... See More despite not being picked up for a full series?